We recently watched the film Interstellar, and it was amazing. We kept stopping it to have a conversation about the science and what’s possible in our solar system, etc. 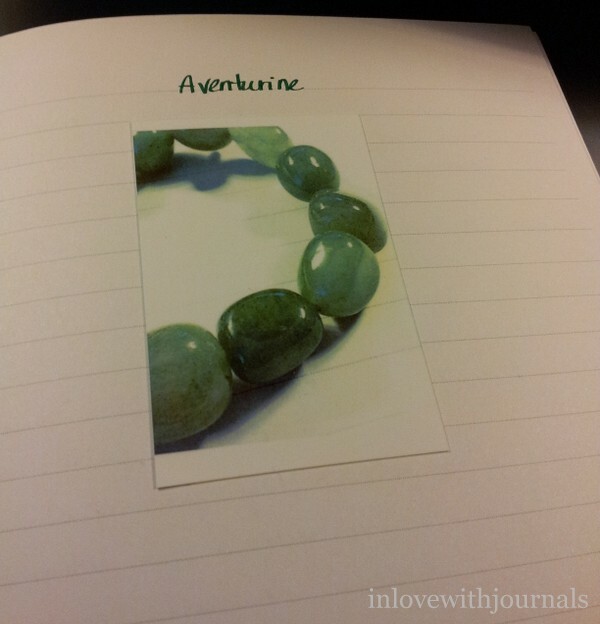 I really loved it and I wrote about it in my journal. And it got me thinking, once again, about having a Film Journal with a similar setup as my Reading Journal. 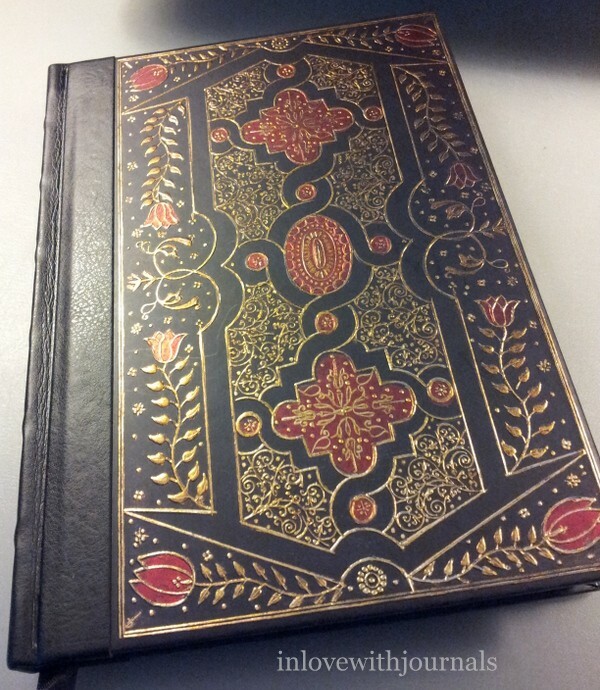 This journal has been sitting on my shelf for a while. It was a gift from a dear friend and I really love it. 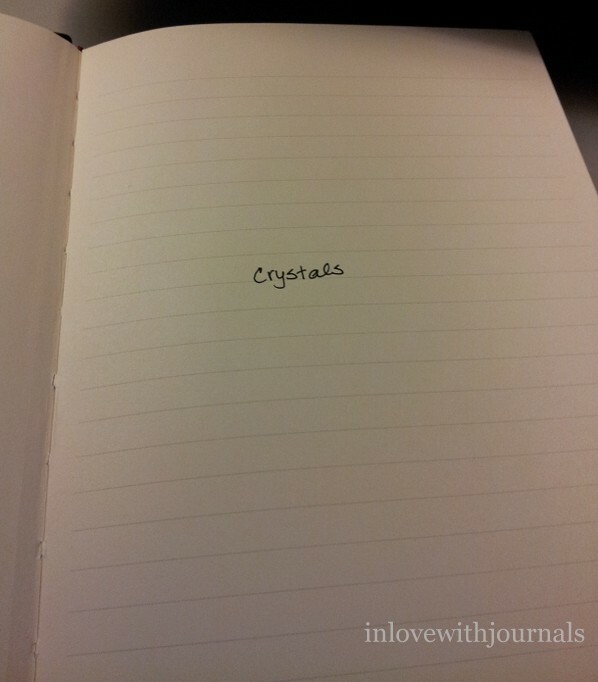 I’ve been trying to come up with a use for it; I worry when I think about my journals being lonely and needing a purpose. 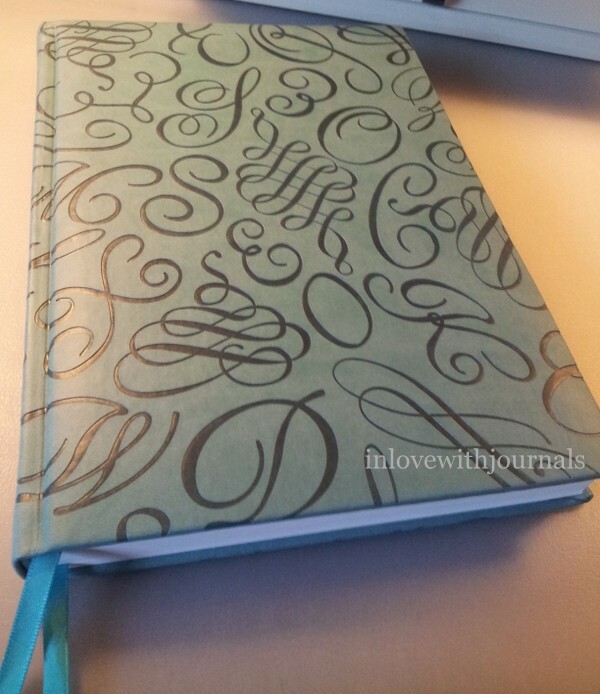 When I started thinking about a film journal this one immediately came to mind. On the front page I used some letter stickers. 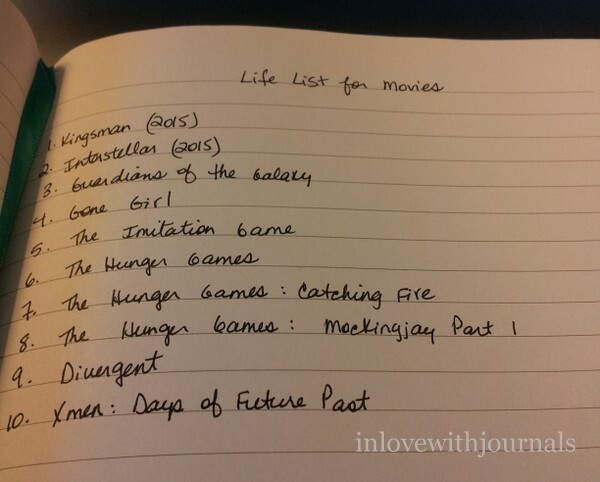 Here I will list the movies I see this year, with a date or at least the month in which they were seen. I haven’t decided if I will add further details, like the actors that starred in it, the director, how many stars I would give it, etc. Still ruminating. I like to keep a running list of movies to put on hold at the library, or to watch for release dates so we can make a point of seeing them in the theatre. 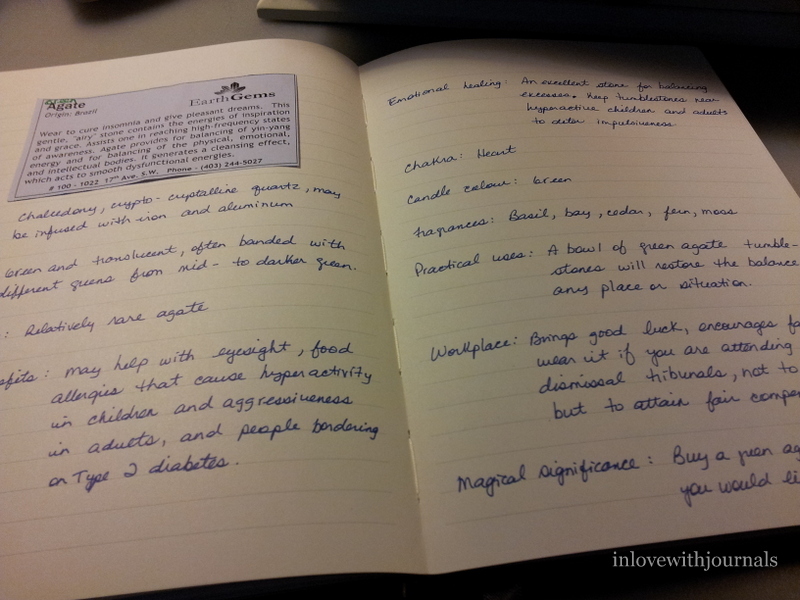 I was using various old notebooks but this is better. When we see trailers we often think we want to see it but then forget the title halfway through the feature. I also added an alphabetical title index at the back, in the same style as in my Reading Journal, but I don’t know how realistic this is. This will fill up a lot faster than my Reading Journal index. 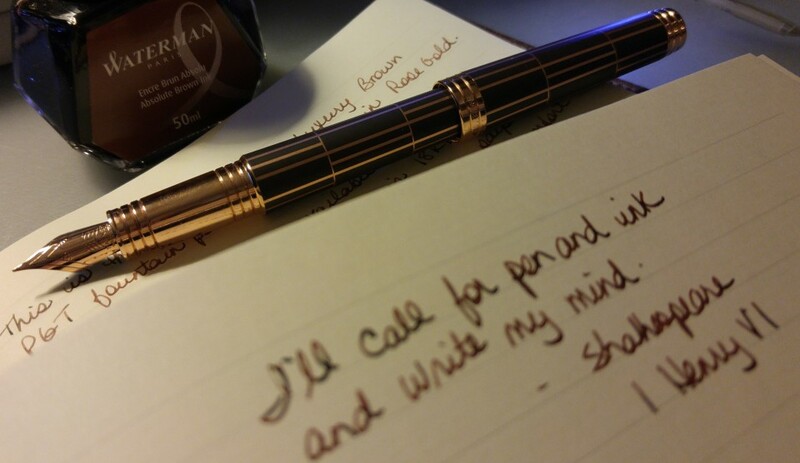 And I probably should have left two pages per letter, or even three. Oh well in my excitement I made decisions on layout that may prove to be rash later on. The book is big enough that I can simply start another alphabetical index in another location in the book. That’s what the Table of Contents is for! 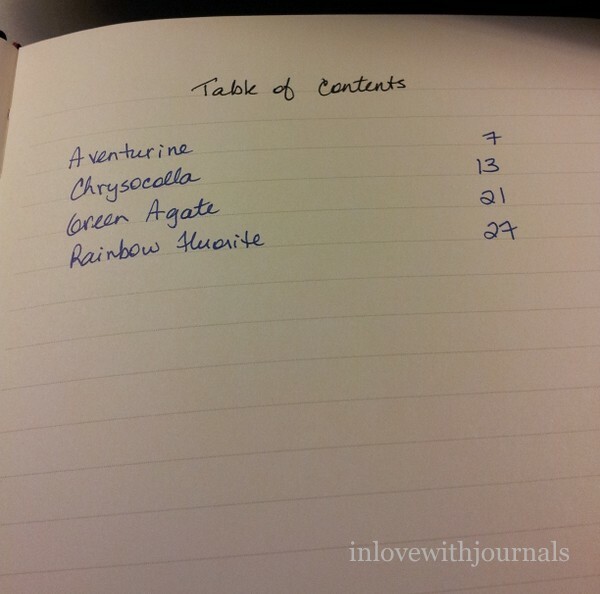 This list will occupy the middle part of the journal. This was fun just thinking about movies I saw recently. I will attempt to record all the movies I’ve seen, which is impossible as I won’t remember them all but I can record the ones I do remember. I realize there will be some redundancy throughout the lists but that’s ok. I like being able to organize information in different ways. How do you record the films you’ve seen, and want to see? Or do you? Let me know in the comments and thanks for reading.